The Learning Lighthouse Preschool, LLC is a small Christian Preschool designed to help your child learn to work together with others and explore God's wonderful word as we prepare for life and learning. We'll have Bible stories and character building stories as well as many hands on activities to help your child discover the joys of learning. Math and whole language can be fun, even for little ones. We'll use many experiences of life to help us learn how things work as we explore reading, writing, art and math and music. Our classes will be small for a better learning experience for your child. Our teachers will have a college degree and have an assistant meeting the requirements of our license through ODJFS. Students enjoy sharing with their friends and take turns bringing a snack for the group. We all have a lot of fun working and playing together. 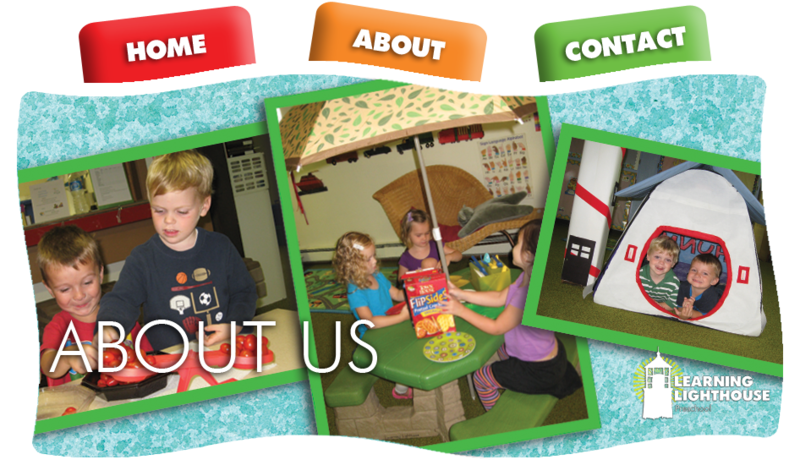 You're welcome to visit our preschool and get acquainted with us. We have enrollment packs available to be returned with a $50 enrollment fee. We'll have you and your child come in for an interview and see how we can learn together. We're a non-denominational Christian preschool that will encourage families to grow in their faith in Jesus as their Savior and Lord and attend a church that teaches God's Word. * Children need to be 3 by Sept 1st and up to date on their immunizations. Classes start at 9:15 am but we are available at 8:45 am. Anyone staying past 11:45 needs to bring a packed lunch. If this is an occasional stay there is a $5 per day fee plus the packed lunch and the child needs to be picked up by 12:45 pm. Learning Lighthouse Preschool, LLC is led by Mrs. Eddy who has an Early Childhood Education degree from Eastern Mennonite University, has taken additional classes for her Ohio Teaching license and classes required by Ohio Department of Jobs and Family Services (ODJFS) to meet their requirements for First Aid, CPR, Communicable Disease and Child Abuse. She has teaching experience with Preschool, Kindergarten, First Grade and substituting in K through 8th grade. She lives in the country and enjoys sharing nature with the children and using teachable moments as they arise. We're looking forward to a new journey together and seeing how God uses the preschool to help children grow to the potential He has given them.